How would you like to customize your sign? How would you like to control your sign? How would you like to mount your sign? Select a proofing option to let us know how much help to provide with your design. Check for issues with my design. Show me a recommended design. Standard processing is within 15 business days of proof approval. 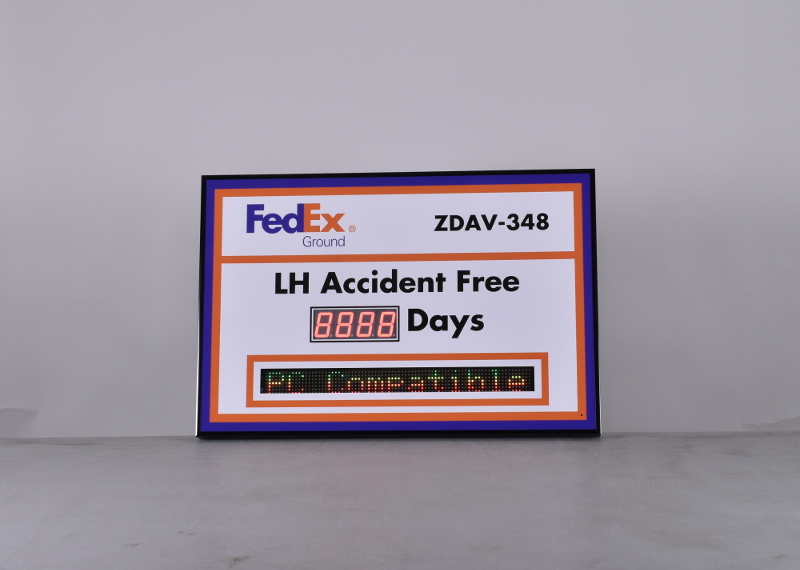 This medium sized days without accident sign tracks your safe days worked record and allows you to display important messages on the integrated message display. Don’t be hasty when it comes to safety. 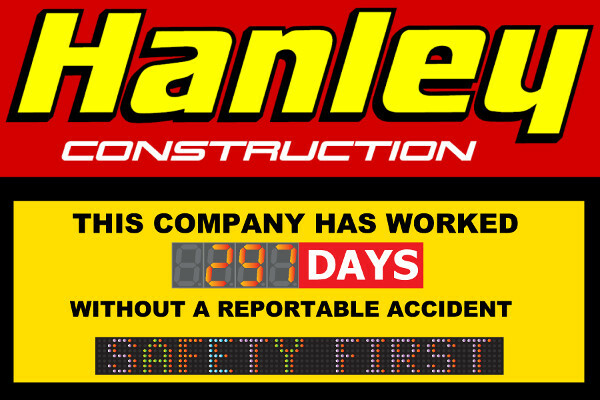 Encourage people to take their safety record in their own hands with this 24 inch high by 36 inch wide digital safety scoreboard. 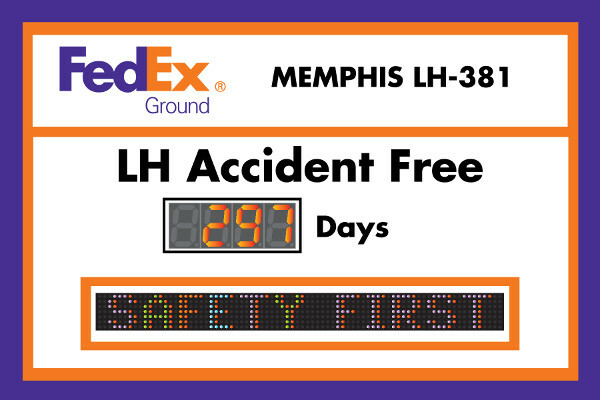 This sign includes one four digit 2.3" tall counter module and one 2" tall multi color LED message display. The bright LEDs of both modules are visible up to 100 feet indoors so your safety message is always in view. The counter module will digitally keep track of your safe days worked and the scrolling message center allows you to enter a custom message to employees whenever you desire. With so many programming options you can make this counter display just about anything. The most common use for this counter is to track safe days worked, but we've had people use this counter to track days until a project deadline, number of environmental incidents, static price display, and many more. The logic is simple. Tell the sign how often you want to count, what direction to count, and how much to count by each time it counts. Then simply set a current count, and the counter will begin following your instructions. The configuration is stored in flash memory so if the power goes out, you won't need to reconfigure it. For a walkthrough of how to program your numeric display, check out this video. Our new scrolling message solution was developed in house and is fully compatible with our control options. Fully integrated with our network controller and IR remote. All signs using this solution get network control for no extra charge! Power Supply UL 120V (Wall Adapter with 6' cord) or direct wire depending on mounting option selected. Copyright © 2019 Cousign. All rights reserved.